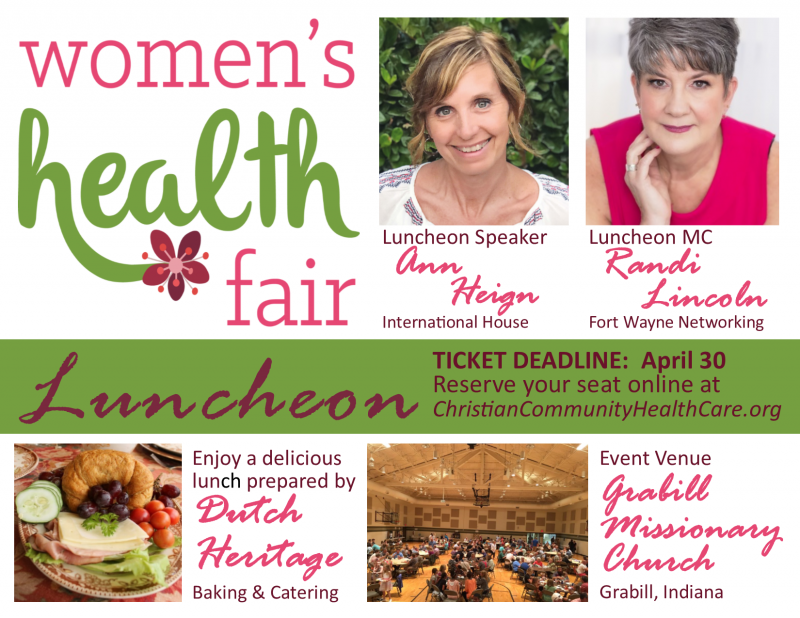 Women's Health Fair is an annual community outreach event sponsored by Christian Community Health Care -- a special event﻿ just for women and open to ladies from the greater Fort Wayne area and beyond. Following the morning health exposition, join us for a delicious Luncheon catered by local favorite Dutch Heritage. A limited number of seats are available for this Luncheon, so register early to guarantee your spot! Special pricing is available on the reservation platform when you reserve an entire table for eight. We will also make special accommodations for larger church or club groups (email us at info@ChristianCommunityHealthCare.org). Reserve your seat now by clicking on the button below. 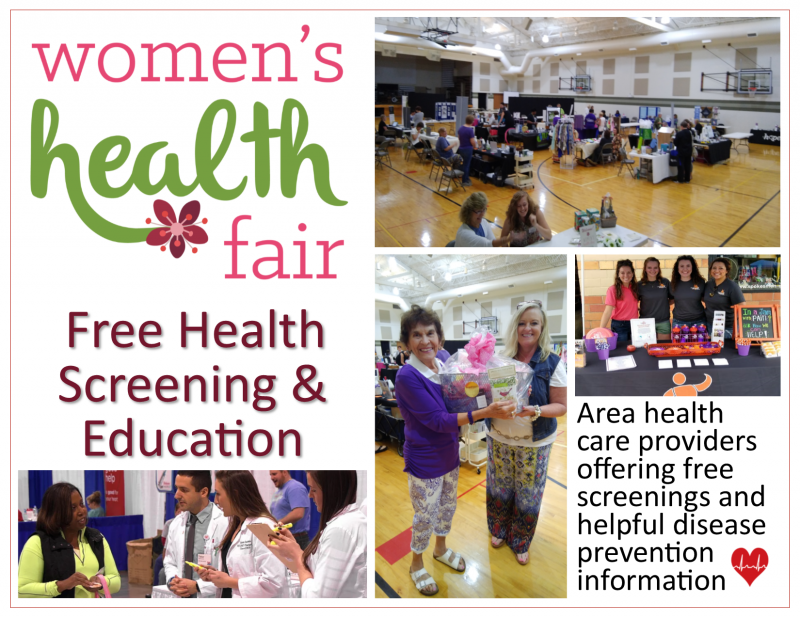 Those who attend the 2019 Women's Health Day can take advantage of health screenings and education provided by area healthcare professionals. A variety of health issues will be addressed this year, including birth & family planning, addictions, heart health, adoption, blood pressure, cognitive skills, mental health, pregnancy issues, and breast health. FREE HEALTH SCREENING & EDUCATION is available on a walk-in basis 9:00am-12:00pm. 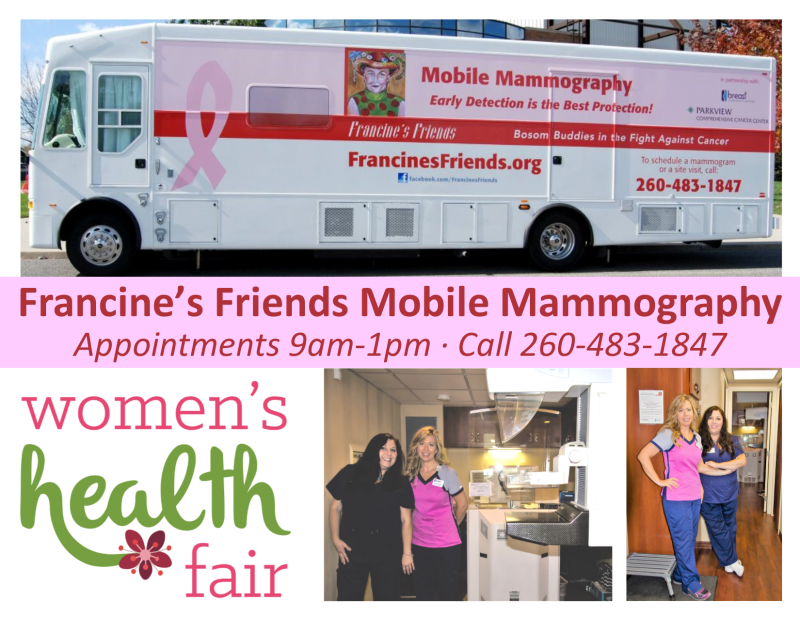 We are pleased to have Francine's Friends Mobile Mammography partner with the Women's Health Fair, offering low cost quality mammogram exams. Each exam takes only about 15 minutes to complete, and is conducted using FDA and MQSA approved testing equipment. The coach is staffed by radiologic technologists from the Breast Diagnostic Center. Exam interpretation is provided by Fort Wayne Radiology. CALL NOW! APPOINTMENT TIMES ARE LIMITED AND THIS EVENT IS POPULAR. Walk-in exams may be available depending on schedule. COST: If you have insurance, your insurance company will be billed. If you do not have insurance, but you are able to pay the day of the exam, you will be offered a reduced rate. Funding is available for those who have a high insurance deductible or do not otherwise have the resources to pay. 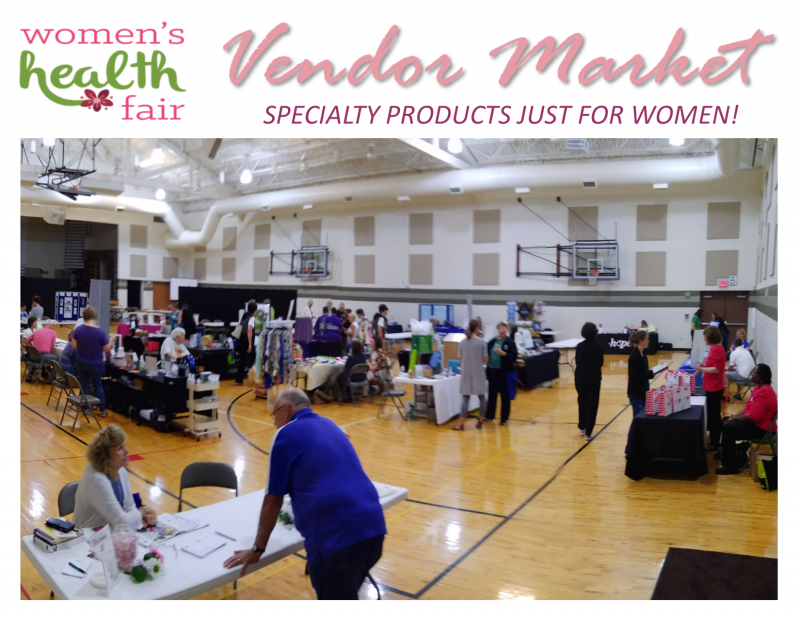 The 2019 Women's Health Day will include a Vendor Market as a bonus feature this year. Area merchants will be present with a variety of goods and assistance to benefit you and your family. 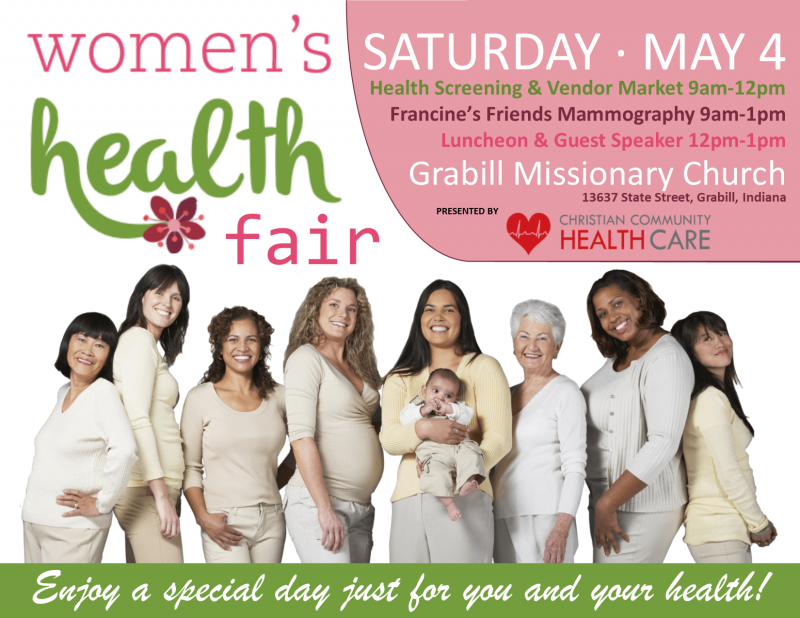 The Vendor Market will be open concurrent with Health Screening from 9:00am to 12:00pm. Here are some of the items you will see at this year's Vendor Market: cleaning solutions, essential oils, medical thermography, fashion jewelry, skin care, nutritional supplements, insurance products, family travel...and more! If you are a licensed retail merchant who would like to build awareness of your products and services during the Women's Health Day, please follow the instructions below to register.